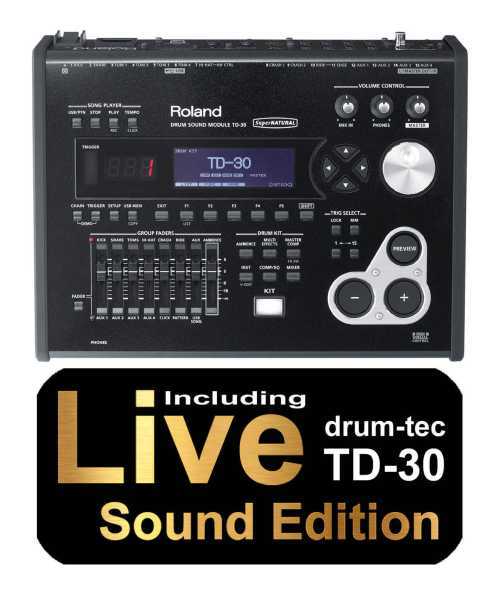 Including the drum-tec Live Sound Edition for the Roland TD-30 sound module. More than 30 additional drum-kits, specifically designed and programmed for live performances. Exclusively at drum-tec! the perfect module for drummers with professional ambitions or just for sound-lovers who don t like to make any compromises! in-ear system- the monitoring mix can be routed into the mix-in input. 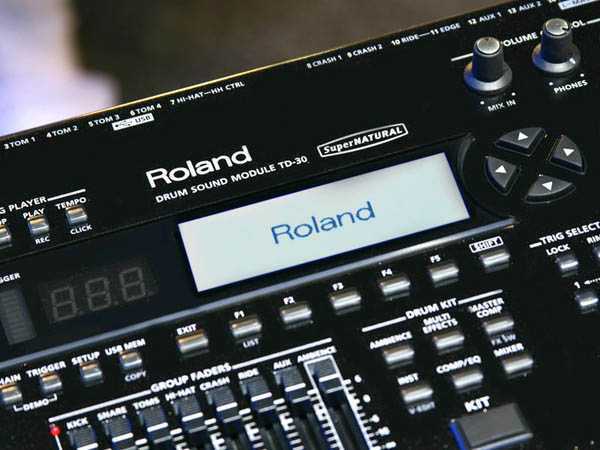 High-End has a name: Roland TD-30 drum sound module. With SuperNATURAL sounds and Behaviour Modeling. It provides a superior sound quality with natural response and dynamic in all playing technics. Rim shots, rolling, flams and ghost-notes on the snare up to powerful crash hits and cymbal swells, each nuance is differentiated and relocated without transition. Ensuring spatial depth, a special ambience-fader makes the direct setting of space- and overhead microphon simulation possible. Just got the TD 30 last week. I had the td 25 in the past and... td 30 is really top level! !